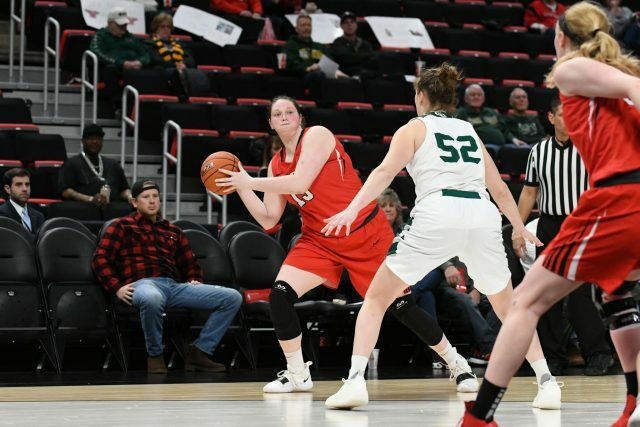 After falling short of the Horizon League tournament championship, the Youngstown State University women’s basketball team gets one more chance to shine in the Women’s National Invitation Tournament. Just like the NIT in men’s basketball, the WNIT is the second largest tournament in women’s college basketball. Despite the “second banana” nature of the tournament, that doesn’t mean the team isn’t highly motivated to go out and win. The “lesser” stigma of both of the NITs has sort of gone away anyway as college basketball has gotten more and more talented. Up first for the Penguins is a trip down to the University of Cincinnati to take on the Bearcats. With such a quick turnaround in the little bit of time Barnes has had scouting Cincinnati, he compared them to another team Penguin fans may know of. Leading the Bearcats in scoring was Ilmar’l Thomas. Thomas averaged 13.4 points-per-game on the year and led the team with 226 rebounds. The key for YSU is to shut down Thomas. Luckily for the Penguins, they have a stout defensive group. Namely McKenah Peters, who Barnes gave some very high praise towards. There will be some familiar faces in the tournament with two other Horizon League teams in the field. Wright State made the NCAA Tournament after winning the conference tournament. Joining YSU in the tournament are the University of Wisconsin-Green Bay and Indiana University-Purdue University Indianapolis. Tipoff for the game is Thursday, March 21 at 7 p.m. at Fifth Third Arena in Cincinnati. The winner of the game moves on to face the winner of the game between the University of Minnesota and the University of Northern Iowa.